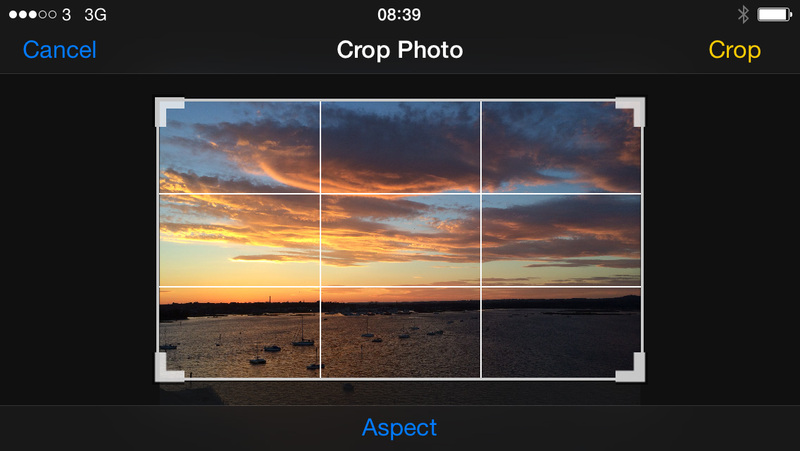 Open the Photos app and select the image you wish to crop. Next, tap the blue Edit text at the top of the screen. A selection of buttons will now appear at the bottom of the screen. The button in the far right corner is the crop tool. Tap it and you’ll see white selection controls appear around the image. To crop and re-size the image, just drag a corner using your fingertip. Additionally, you can tap the blue Aspect text to select from nine preset ratio options. When you’re happy with the result, tap the yellow Crop text in the top right corner of the screen to save your changes.